Everyone loved Stan in Business With Pleasure, right? He's such a dorky little sweetheart! He makes my brain happy, and I loved spending time writing him. Because I love catching up with characters in Gwen's world, I wrote a little stand-alone short starring Stan, and I definitely think you'll like it. A kiss from a lovely stranger, a surprise houseguest, an ill-gotten meal, and an uncomfortable feeling in the pit of his stomach: It’s been a strange day for Stanley Sneedley. Poppy is a whirlwind of inappropriate caresses, flirtatious winks, and double-talk, but Stanley still can’t help but say yes when she asks for his help. She’s on the run from dangerous men, after all, and Stan can’t bear to leave her to be found and possibly captured. He’s a gentleman above all, and no amount of her suggestive glances from this damsel will change that. As the night wears on, however, Stan realizes that perhaps Poppy’s not being entirely truthful about why she’s in trouble and how she plans to get out of it. Perhaps inviting her into his home meant asking for a lot more than just a friendly dinner date. 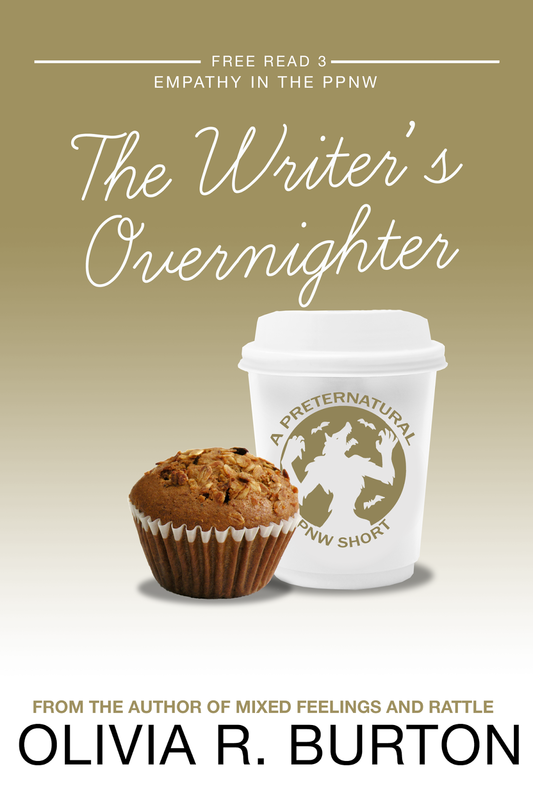 Grab The Writer's Overnighter over at Smashwords, and be sure to leave a review if you dig it!